The Wilderness Within blew my mind! I should be used to that by now, as John Claude Smith never presents anything boring to his readers. Novelist Derek Gray responds to his friend Frank's letter asking for him to come for a visit. Frank Harlan Marshall lives in the forest, miles away from civilized life. Together, they're awaiting a third friend and while passing the time, Derek notices Frank is in dire straits mentally. He's not himself, he's barely even present when they talk. Derek also meets Frank's neighbor, Alethea, former singer of Dark Angel Asylum. Together, all three will face something-something in the forest, something that is ancient and will change them all, forever. John Claude Smith is always exploring new ideas and this book is no exception. My favorite parts happened in the forest-the first time Derek and Frank take a walk in the woods together is truly creepy. "I sensed in my mind, something picking through my thoughts, as if my skull had been opened up and something was looking for whatever special thoughts, memories and imagination that it fed on, and was diligently feeding: beetles picking the carcass clean." The creative minds of authors and musicians are interesting things to explore. I'm reminded of U2's lyrics from The Fly: "Every artist is a cannibal, every poet is a thief, all kill their inspiration and sing about the grief." John Claude's take is: "But I know creative individuals and know the madness and intensity that is part of their make-up. There has to be a lack of inhibition in allowing the madness full reign in order to really capture the gist of what one really needs to express creatively." All of this makes it seem as if this book is focused on the inner lives of artists, and in a way it is, but it's also about the forest, nature, what is going on around us, and just maybe...how small we are in the bigger scheme of things. That part of the story and what's really wrong with Frank-these are things you have to discover for yourself. But be prepared because the truth is scary and often ugly too. Not only do we not know everything there is to know about nature and how the world works, we often don't even know the people we think we know the best. 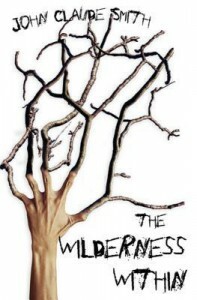 Surreal, intense and brave, The Wilderness Within is a unique story that delivers on the creep factor and explores deeply the inner lives of the creative and the broken. At the same time, it makes me want to stay away from the forest, at least for now.